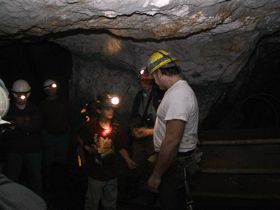 Mine tours are being offered on a limited basis by Michael Miller. email mmeistermiller@gmail.com to schedule. 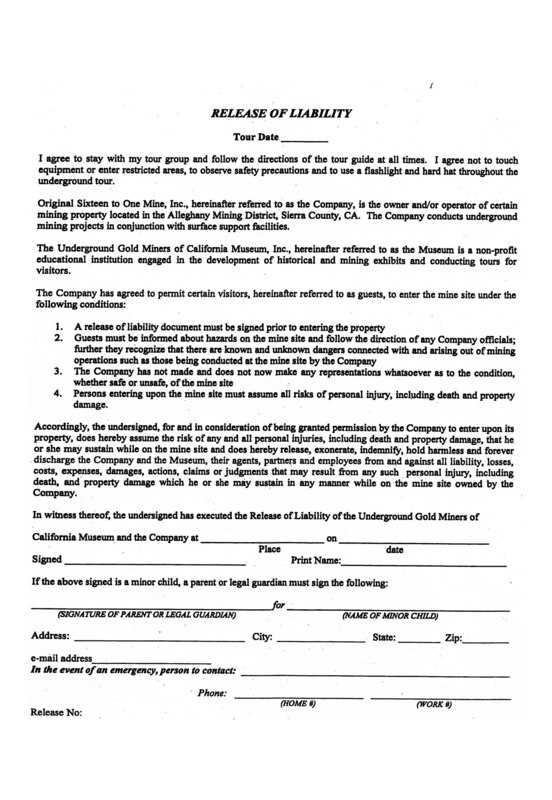 Experience California's gold mining history as you tour a working gold mine that has been in operation for over a century. Established in 1896, the Sixteen to One Mine is a unique "pocket" mine where gold is found in highly concentrated deposits within the quartz vein. The mine has produced over 1 million ounces of gold and is famous for its quartz and gold gemstone sought by jewelers. Three to four hour tour begins at the Museum where you will be introduced to the history of the Alleghany Mining District and the operation at the Sixteen to One Mine. From the museum groups carpool to the Sixteen to One Portal on Kanaka Creek (down a dirt road) here we "brass in" and begin the trip underground. The world of the traditional hardrock gold miner and the geology of the mine are witnessed first hand. Travel into the mine as far as the 800 Station (about 1,200 feet) and back another 1,000 feet to the Tightner Shaft and then a bit further to the active headings. All tours require the ability to navigate steep terrain on foot. It is wet and cool in the mine, long pants and a light jacket are recommended, bring waterproof shoes if you have them or borrow a pair from the museum. Bring a flashlight and day-pack with water as well. We reserve the right to modify or cancel any tour due to weather, unsafe conditions and other circumstances beyond our control. Participation in tours is contingent on visitor signing a liability waiver. Children must have a parent or legal guardian sign. Tours are subject to confirmation; if possible please allow 2 weeks lead time for bookings. Please print out the form below.